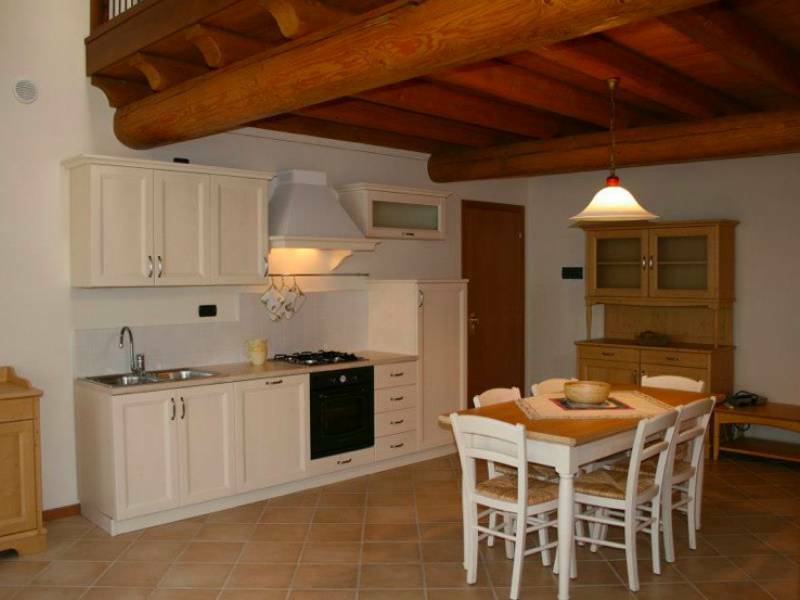 Just 7 kilometers from Lake Garda and the lakeside resort of Bardolino, is situated this beautiful agriturismo with comfortable and nicely furnished apartments. 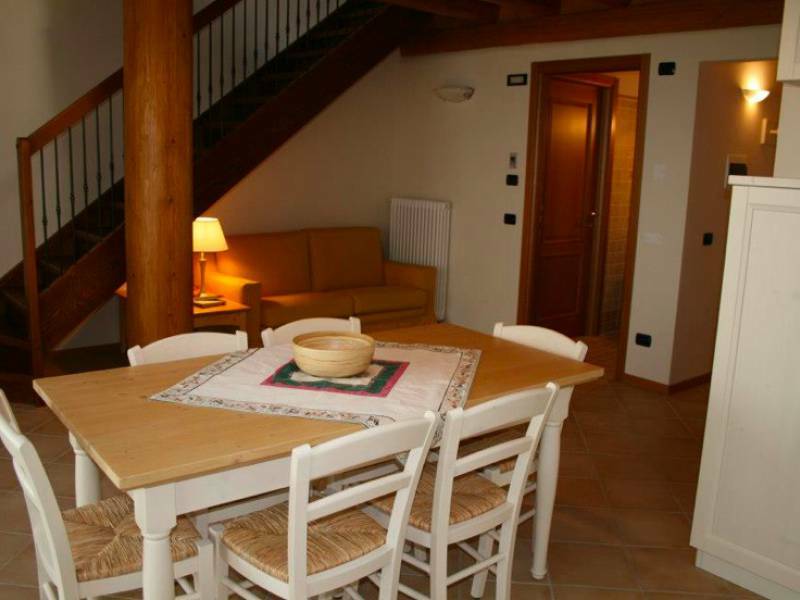 The agriturismo is nestled in the hills within walking distance of a village. 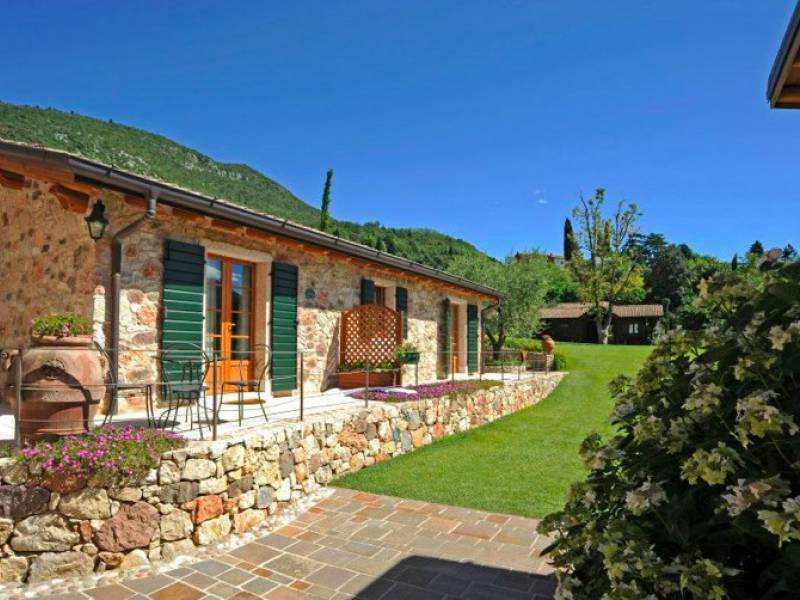 A very centrally located agriturismo to explore both the Northern and the Southern part of Lake Garda, with cozy places like Riva del Garda, Lazise, Peschiera del Garda and Sirmione. In a half hour you are also in the city of Verona, famous for its beautiful arena with many stunning performances in the summer. The agriturismo has a very well maintained garden with a beautiful view. They make their own olive oil and sell a delicious local wine and an assortment of homemade jams from befriended agriturismo's in the area. The family has restored the original farmhouse and also lives there themselves. There are stables and a riding school where you can get riding lessons from the owner. For more practiced riders trips could be made together. 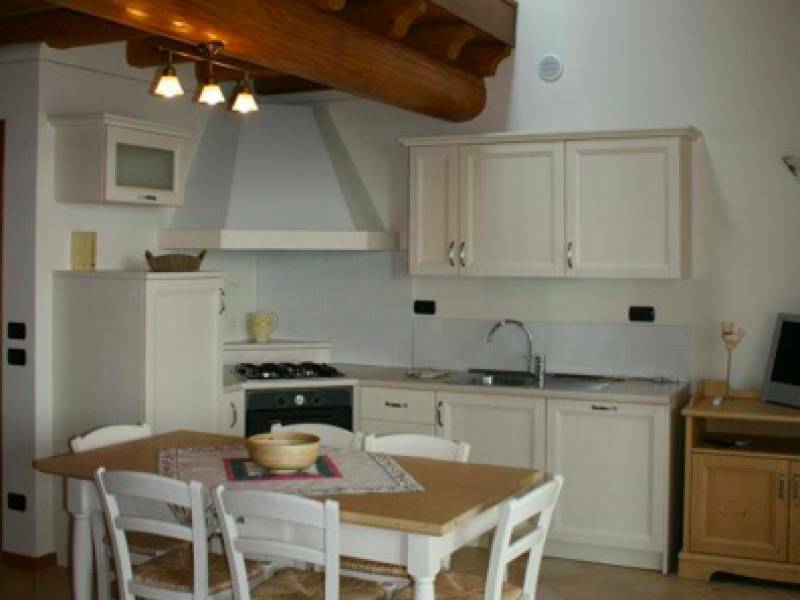 The agriturismo has four spacious well-appointed apartments, two on the first floor and two on the ground floor. 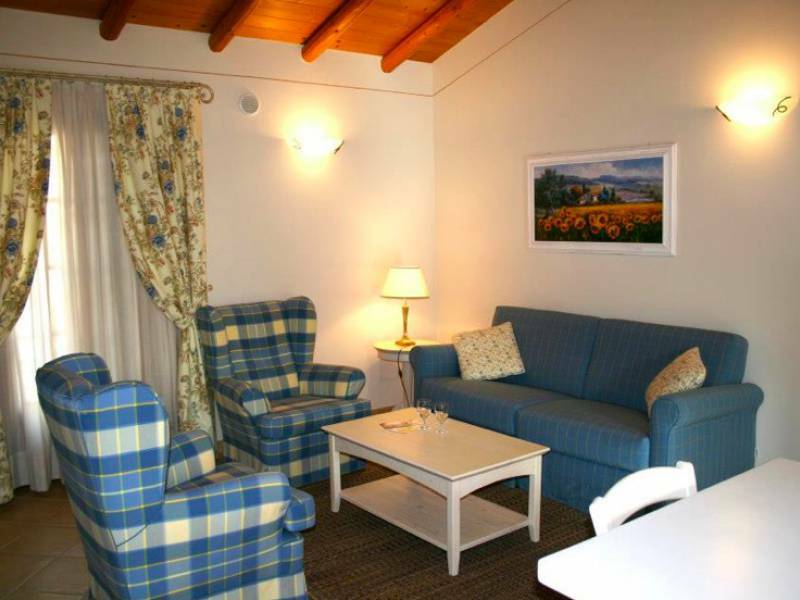 The apartments are comfortably furnished and have satellite TV, air conditioning and independent heating. Furthermore, each apartment has a well equipped kitchen with oven, dishwasher, fridge and freezer. 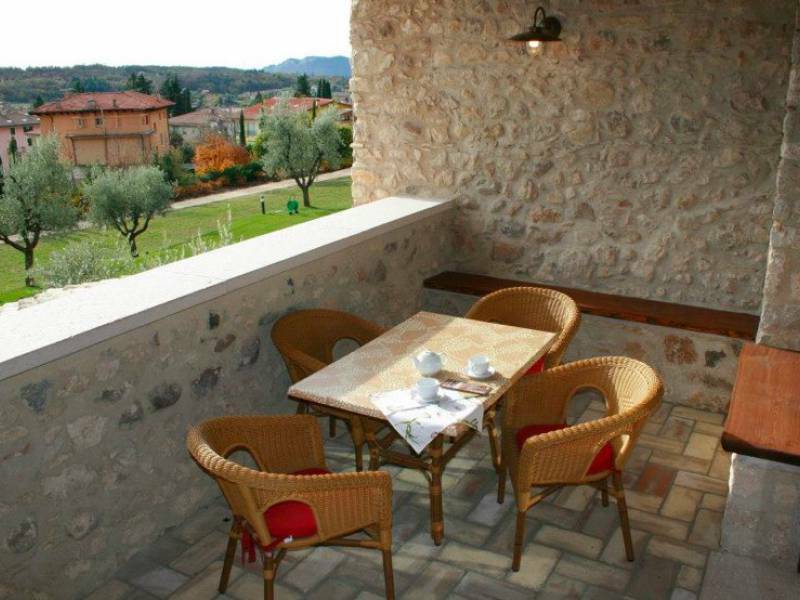 The apartments on the first floor have a terrace with table and chairs and beautiful views over the hills. The apartments on the ground floor have their own terrace with table and chairs. 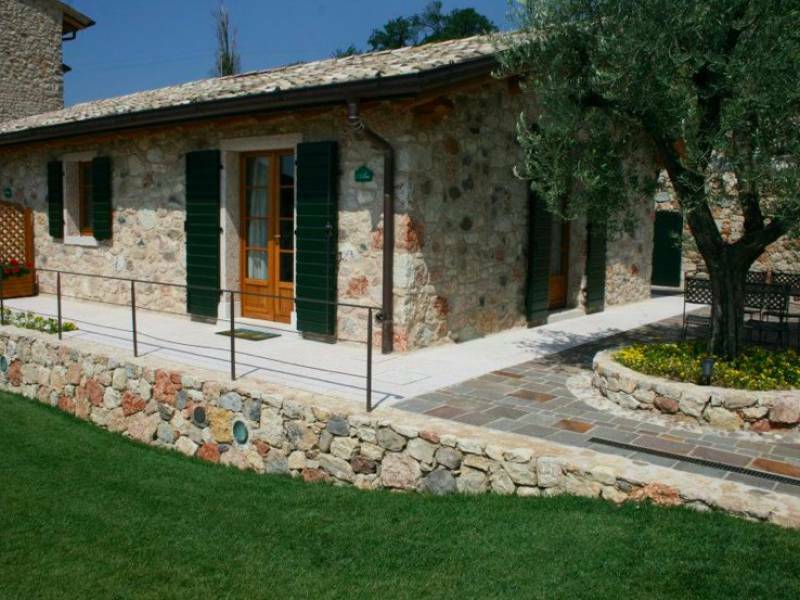 The agriturismo has a swimming pool, which can be heated a few degrees, with sun beds and a playground. There is a large lawn for guests to be used and there is a covered BBQ area with table and chairs. There is also a small gym and a large shared living room with fireplace and sitting area. In this shared space is also WIFI. 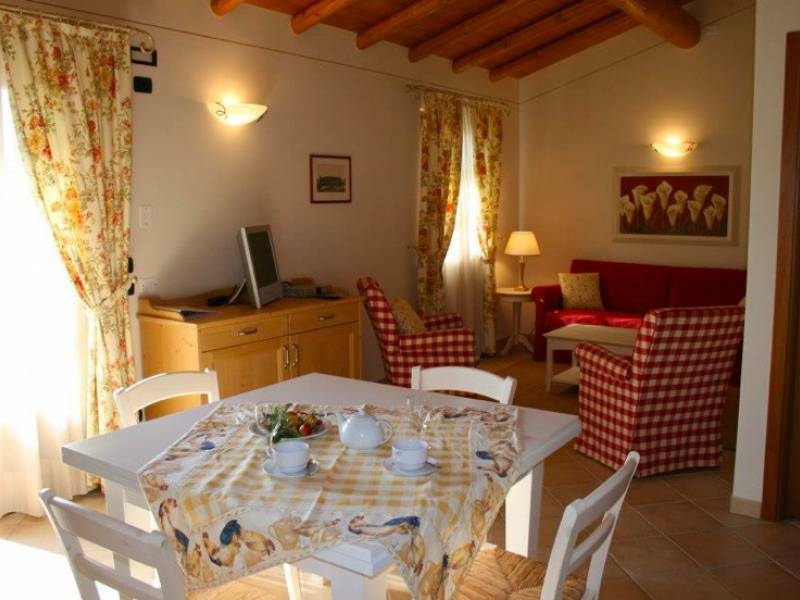 For the youngest guests, you can book at the agriturismo a complete baby kit with bed, bath, high chair, stroller etc. You can also rent a box for your own horse and rent mountain bikes. 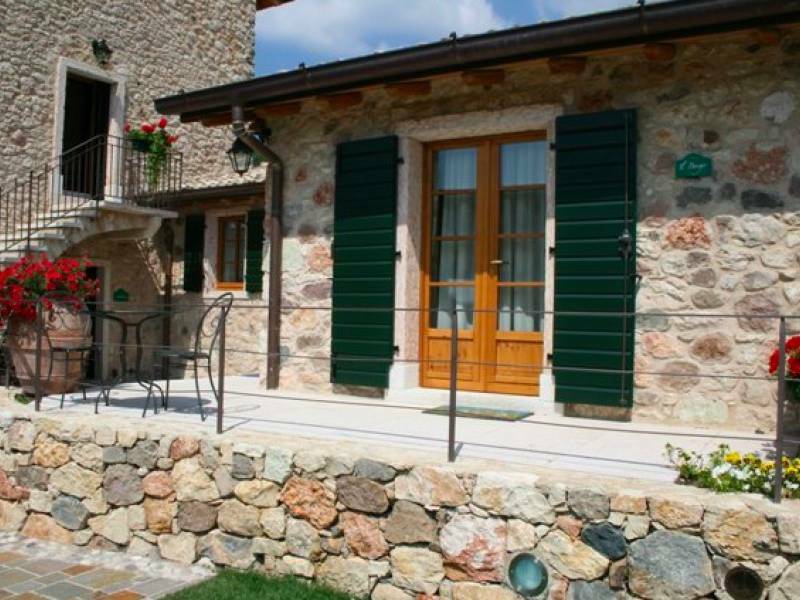 Agriturismo with spacious and cozy apartments, within walking distance of a village, and not far from the many charming towns around Lake Garda. 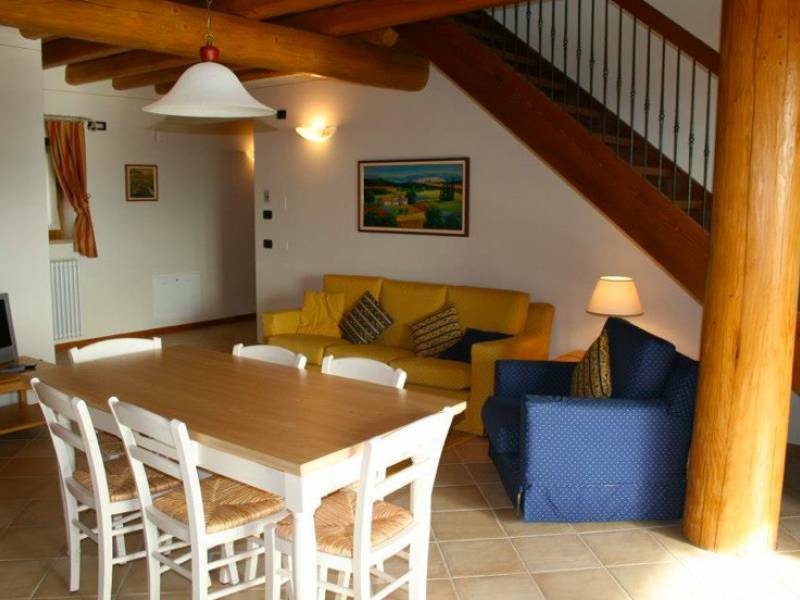 Apartment on the first floor with a spacious living room with sofa bed, living kitchen and toilet. 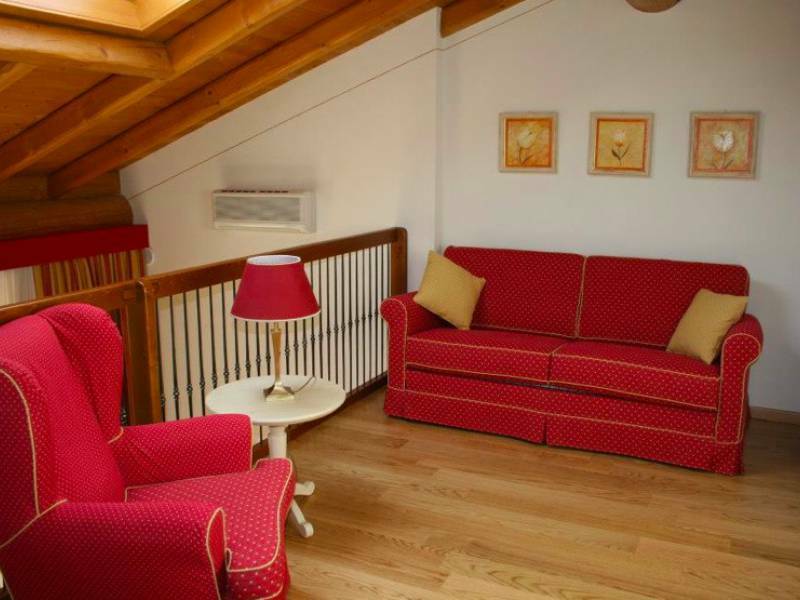 On the mezzanine, a bedroom with double bed, an open seating area with sofa bed and a bathroom. The apartment has a lovely covered balcony with table and chairs. 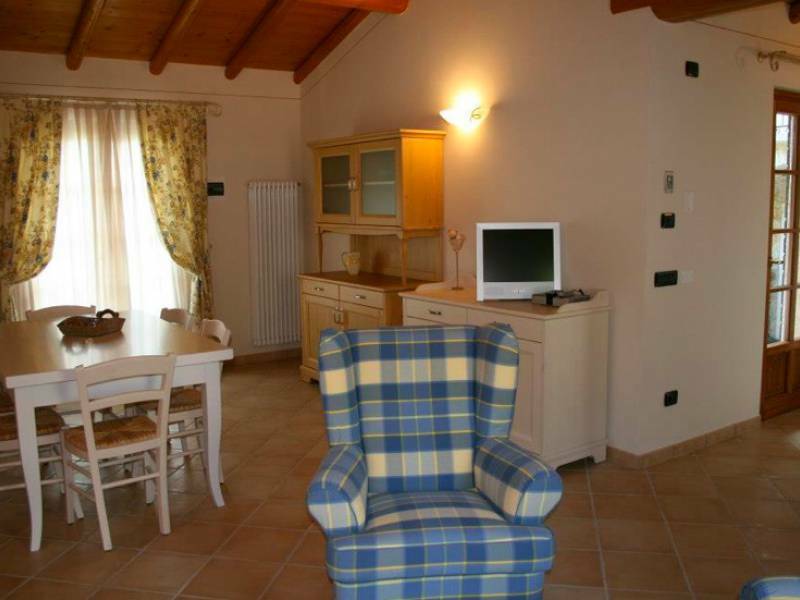 Apartment on the first floor with a spacious living room with sofa bed, living kitchen and toilet. On the mezzanine, a bedroom with double bed, an open seating area with double sofabed and a bathroom. The apartment has a lovely covered balcony with table and chairs. Apartment on the ground floor with living room with sofa bed, a living kitchen, a bedroom with double bed and a bathroom. The apartment has two terraces, of which one with table and chairs. Apartment on the ground floor with living room with sofa bed, a living kitchen, a bedroom with double bed and a bathroom. The apartment has a large private terrace with table and chairs. Rental price per day for 4 people and includes use of water, gas, electricity, towels, bed linen & beach towel (towels changed 2x per week), heating, air conditioning and final cleaning. A 5th person in an extra bed: € 12 per day. Complete baby kit with cot with bedding, high chair, stroller, baby bath, inflatable pool, etc € 10 per day. Extra towels: € 6 per person. Extra bed linen: € 10/ € 8. Horsebox hire € 20 per day. Bike hire € 10 per day. In high season a minimum stay of 7 nights, from Saturday to Saturday, is required. In the other seasons a minimum stay of 4 nights.